This post in our Addressing Authority Online Symposium comes from Giacomo Giudici, who recently completed his PhD at Birkbeck, University of London, as part of the ERC funded project ‘ARCHIves – a History of Archives in Late Medieval and Early Modern Italy‘. Here he shows how petitions could be an engine for pre-modern governance, providing a precious source of information to the Milanese authorities. The Sforza are the dynasty that ruled Milan and its duchy continuously from 1450 to 1499, and then, only intermittently, between 1500 and 1535. Like all the rulers of the time, they relied on petitions to administer their dominion. In the Sforzesco archive, located in Milan, hundreds and hundreds of original petitions are to be found mingled with other documents in two huge collections, called Comuni (literally “Towns”) and Famiglie (“Families”), created from scratch by nineteenth-century archivists. Previous scholars have, therefore, focused their attention on these collections. However, historians have ignored another source displaying petitions: the Registri delle missive, chancery copybooks in which the outgoing Sforza correspondence with subjects (peripheral officers, subject communities, individual subjects) was registered. The reason of this lacuna is simple. In the copybooks, the petitions are hidden in plain sight. 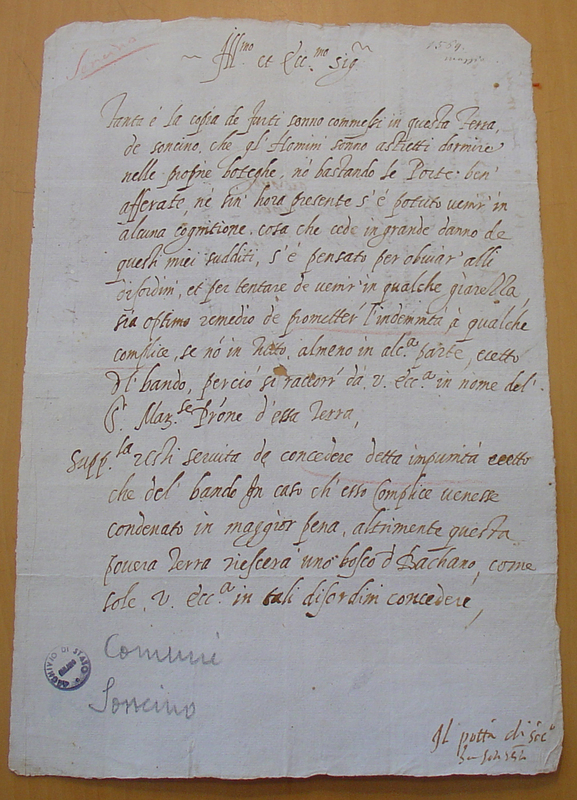 Ducal letters originating from the receipt of a petition mention it briefly at some point, usually at the beginning – for example: “We have received a petition from the agents of the men of our land of Pizzighettone (…) we order you to (…)”. It is easy to miss the tiny note, or to think that little can be done with it. Are we sure this is true, though? Original petitions – or those reproduced in registers in their entirety – are, of course, mines of historical evidence. They lend themselves to the most diverse research perspectives: political history, social history, the history of justice, but also linguistics and, more generally, anthropology. Yet, in the case of our copybooks, we get the chance to observe petitions in a bigger picture. We can grasp how, and how heavily, petitions featured in the communication flows between the centre and the peripheries of the duchy of Milan – the character and function of such communication flows being veritable “shapers” of polities and politics, just like new social media set the tone and contents of today’s political debate. In other words, even though in the Registri delle missive we lose the strict contents and wording of the petitions sent to the Sforza, we crucially gain a systemic perspective on their use. This petition shows the typical division in two parts: the narratio, where the circumstances of the petitioners are described, and the supplicatio, where the proper demand to the authorities is written. From Archivio di Stato di Milano, Sforzesco, Comuni, 80 (Soncino). Let us start from the question of quantity then. What share of the Sforza “governance by correspondence” revolved around the reception and management of petitions? I did the maths in the copybooks of the last Sforza duke of Milan, Francesco II (r. 1522–1535), picking twenty-two random months between the years 1522–1525 and 1531–1535 (Francesco spent the years 1526–1530 in exile). The result is remarkable: almost 56% of the letters (514 out of 921) mention a petition. And the months with the highest number of letters registered (therefore those most reliable statistically) are often those with the highest percentage of petition mentions (for example 77% in June 1525 and 76% in August 1525). Furthermore, it can be argued that the figures are conservative, since the many register entries mentioning an undefined piece of information as the starter of the ducal letter (a typical letter incipit: “We are informed that”) are never counted as petitions, even though they may well have been. These data substantiate, in a very concrete way, the peremptory statement contained in an eighteenth-century memoir on the administration of the duchy of Parma and Piacenza: “those who think to do away with the system of petitions would overthrow the entire system of the State”. As a matter of fact, in early-sixteenth-century Milan, more than half of the registered political-administrative “output” of the Sforza depended on the previous “input” of petitions. On one hand, encouraging the act of petitioning was certainly a way of legitimating the sovereign as the ultimate provider of justice. On the other hand, the sheer volume of petitions managed also stands as a compelling example of how medieval and early modern statecraft, despite its absolutist pretenses, was inherently based on negotiation and mutual concessions between “the dominant” and “the dominated Multiple studies have highlighted that the submissive, pathetic language to be found in petitions was in fact often highly instrumental. This is already noteworthy, but is that it? Focusing on their most apparent judicial and political-administrative meanings, scholars have (as far as I know) downplayed a more “mundane”, yet absolutely fundamental function of petitions – this, too, hidden in plain sight: that of conveyors of valuable information. Before any specific use related to a particular affair, incoming petitions represented a continuous flow of fresh news, vital for regimes that always struggled to have first-hand knowledge of their own dominions. To realize it more clearly, is important to conceive the notion of “petitions flow” not only in an abstract way, but also as a very material process. Oral petitions were presented in public and private audiences. It was written petitions, however, that probably constituted the great majority of the total, and chanceries physically gathered them. Hearing and reading each and every petition meant acquiring information that we consider elementary today, but was absolutely not taken for granted back then. Names of people, names of places, which may have then been transferred into the hundreds of lists and inventories that medieval and early modern authorities compiled, almost compulsively, to grasp the contours of the communities they aimed to rule. It is imaginable that, in many cases, a petition was read and then discarded. The original document is therefore lost, and there is no trace of it in registers. It is impossible to know if and how the content of the petition was somehow “digested”. By contrast, when the petition is mentioned in the Registri delle missive, we do know what was done with it. Oftentimes, it was not primarily treated as a petition, but indeed as a piece of interesting information – which may give way to the targeted research of more information on a given matter, enabling in turn a more effective governmental action. An apparent example of this attitude comes from a register entry dated 18 October 1522. Here, it is reported that the people of a parish in the remote valley of Porlezza (located north of lake Como, on the Alps, at the very fringe of the Sforza dominion) sent a petition to Francesco II. The parishioners claimed that they did not support the French in the struggle for the control of the duchy of Milan, which had just ended with the victory of the Sforza party. Therefore, they asked not to pay the sum of money that the pro-French communities of the same area were to grant to the victors as a way to make peace. From the text of the chancery letter, we clearly understand that Francesco II and his aides saw the petition not so much as a tool to do justice to a tiny parish, but rather as a much-needed pretext to survey a territory of which little was known. It is overtly written that “the rumour” (la voce) was that the valley of Porlezza had supported the French, with no exceptions; the petition would prompt the government to investigate on whether some communities (including, but not limited to, the petitioning one) remained “affectionate” (affectionata) to the Sforza cause. As a consequence, two officers (to whom the letter is directed) were deployed on the ground to “get informed on the truth” (informar[s]i de la veritate) as a means to deliberate on the matter. The petition was attached (inclusa, either in its original form or as a copy) to the letter itself. It was the “key” to enter the valley. Ultimately, my argument is that it was also for reasons like this that, for several centuries, governments kept their chanceries open and receptive to the requests of outsiders. Besides turning rulers in merciful providers of justice, and complying with the highly negotiating nature of pre-modern statecraft, keeping a continuous and abundant “petition feed” must have been an excellent way to “feel the pulse” of the outside world, just like keeping an eye on a contemporary social-network news feed. This was crucial at a time when, as Fernand Braudel famously put it, distance established a veritable “tyranny”, which limited the ambitions of minor and major rulers alike. We need to acknowledge this aspect of petition systems, looking at the ways in which petitions were used to instigate political processes that went well beyond their strict contents. For a general history of the Sforza (and of their forerunners, the Visconti), see F. Del Tredici, “Lombardy under the Visconti and the Sforza”, in A. Gamberini and I. Lazzarini (eds), The Italian Renaissance State (Cambridge/New York: Cambridge University Press, 2012), 156-76. The most important study on the Sforza petition system is N. Covini, “La trattazione delle suppliche nella cancelleria sforzesca: da Francesco Sforza a Ludovico il Moro”, in C. Nubola and A. Würgler (eds), Suppliche e “gravamina”. Politica, amministrazione, giustizia in Europa (secoli XIV–XVIII) (Bologna: Il Mulino, 2002), 107–46. “Ab agentibus nomine homini terre nostrae Pizeleonis supplicationem accepimus (…) vobis dicimus quod (…)”: Archivio di Stato di Milano (henceforward ASMi), Sforzesco, Registri delle missive, 221, l. 222, Milan, 1525 June 18. About this point see J. Boutier, S. Landi, O. Rouchon (eds), La politique par correspondence. Les usages politiques de la lettre en Italie (XIVe–XVIIIe siècle) (Rennes: Presses Universitaires de Rennes, 2008), especially the introduction. The copybooks relating to the age of Francesco II correspond to ASMi, Sforzesco, Registri delle missive, 220–225. Of register 220, I checked the months of January and April 1523; of register 221, I checked the months of June 1523, January 1524, June 1524, June 1525; of register 222, I checked the months of June 1524 and June 1525; of register 223, I checked the month of August 1525; of register 224, I checked the months of January and June 1530; of register 225, I checked the months of January, February, and June 1531, of June and July 1532, of January, June, and July 1534, and of January and June 1535. Reported in C. Nubola, “Supplications between Politics and Justice: the Northern and Central Italian States in Early Modern Italy”, International Review of Social History 46 (2001), Supplement S9, 35. In this respect, the most famous study is Natalie Zemon Davis, Fiction in the Archives: Pardon Tales and their Tellers in Sixteenth-Century France (Stanford: Stanford University Press, 1987); but see also the considerations in Nubola and Würgler, Suppliche e “gravamina”, 10; and in Massimo Vallerani, “La supplica al signore e il potere della misericordia. 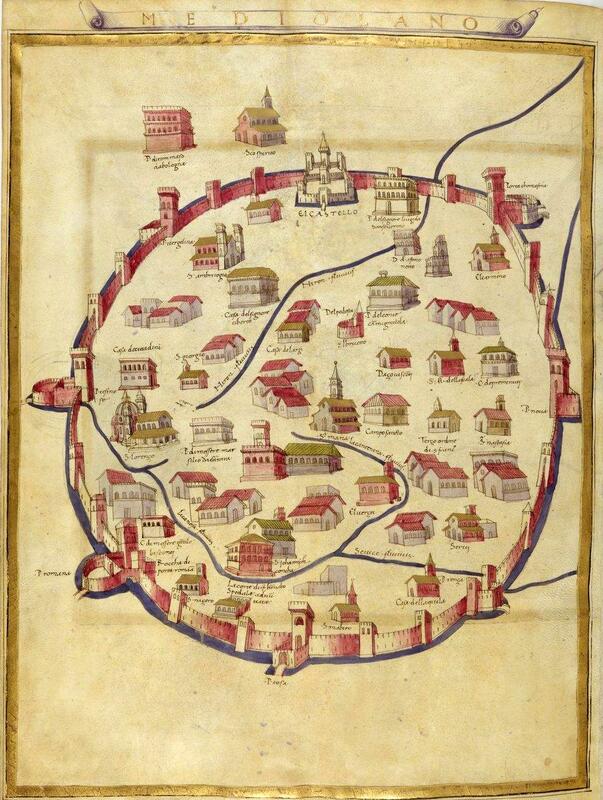 Bologna 1336–1347”, Quaderni storici 131, no. 2 (2009), 430–1. David Zaret argues that using a language of self-diminishment long remained the only means available to subjects for entering a “restricted model of political communication that derived from organical-patriarchal worldviews” – D. Zaret, “Petitioning Places and the Credibility of Opinion in the Public Sphere in Seventeenth-Centry England” in B. Kümin and J. C. Scott (eds), Political Space in Pre-industrial Europe (Aldershot: Ashgate, 2009), 182. Check, for example, the POLIMA (Pouvoir des Listes au Moyen Âge) project, devoted to the study and characterization of power of lists in the Middle Ages: http://polima.huma-num.fr/ (last accessed 6 November 2016). ASMi, Sforzesco, Registri delle missive, 220, l. 31: “Se ben la valle et plebe de Proletio ha voce in generale di essere a noi et stato nostro ribelle et inimica, se persuademo pero che tra epsi gli ne sia qualche parte a noi affectionata. Pero inteso quanto ni han exposto per la inclusa loro supplicatione li homini de Santo Nazario & de San Bartolomeo (…) ni e parso remandarli ad voi, commettendovi che debiate informarvi de la veritate”. This thesis is espressed in Fernand Braudel, The Mediterranean and the Mediterranean World in the Age of Philip II (Berkeley, CA / London: University of California Press, 1995) (first edition 1949). This entry was posted in History and tagged addressing authority by Brodie Waddell. Bookmark the permalink.